but someday soon they certainly could—before turning their attention to the final two weeks of prep for those planning on a March LSAT date. As part of that conversation they give key tips for these remaining two weeks, including advice on mentality, practice tests and proper review (including a full deconstruction of an actual test question to illustrate the ideal technique), and the appropriate study/life balance for optimal results. 0:00 to 5:38: In a PowerScore PodCast first, Jon and Dave were fortunate enough to record this episode side-by-side from Dave’s office in Napa Valley. Less fortunate was how they were both feeling after touring vineyards for several days, and catching two heavy-hitting Muse shows in Sacramento and Oakland (hence the two of them sipping water to recover, another PodCast first). Dave also introduces the otamatone, which he found via a crazy video for a Muse song. 5:39 to 23:33: Before discussing how to best use these final weeks, talk turned to one of today’s most alarming—and relevant—headlines: the massive college admissions cheating scandal that broke shortly before our recording began. Dubbed Operation Varsity Blues by the FBI, the investigation revealed the largest college admissions scam ever prosecuted by the Department of Justice, and managed to nab a huge number of celebrities, lawyers, college coaches, and other high-profile individuals as part of a scheme spanning nearly a decade and involving over $25 million in payouts and bribes to secure their children’s entry to the nation’s most elite universities. Given LSAC’s recent focus on test security this type of fraudulent behavior is clearly both concerning, and potentially a threat to the purported equity meant to exist in the admissions process, and Jon and Dave pull no punches in condemning it. 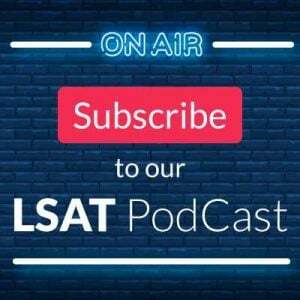 23:34 to 26:55: It was a relatively quiet week in the LSAT World, but there was a new podcast, “Keeping Up To Data,” that looked at admissions statistics for the cycle thus far (transcript). 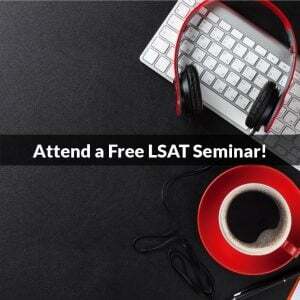 26:56 to 27:34: And now we get to tonight’s main topic: How to use the last two weeks before an LSAT to prepare! This is most obviously geared towards the March test two weeks away, but the talking points to come ultimately apply to the final few weeks before any future LSAT. 27:35 to 35:39: As they often do at the outset of prep discussions, Dave and Jon begin by talking mentality. Namely, that success in the final days and weeks becomes less and less about how much more you can learn, and instead often centers on the mindset you’re able to foster and maintain. Tips are given for staying positive in the home stretch, avoiding burnout, and managing test day anxiety when the exam’s in progress. 35:40 to 38:00: One key to focus on as the test approaches is the idea of “quality over quantity” in prioritizing your time and efforts. That idea is introduced briefly, and serves as a central theme for much of the discussion that follows. 38:01 to 46:20: With the notion established of valuing the quality of your prep over its sheer volume, the next step is learning as much as possible, and as specifically as possible, about your strengths and weaknesses at this final stage. Comparing those to our predictions about what’s most likely to appear on the March test allows you to create a precise game plan for finishing strong, so Jon and Dave outline exactly how to determine those elements. 46:21 to 53:29: Whether you’re focused on targeted concept drills, individual test sections, or full practice tests, knowing how much to do, when, and where will help you continue to improve without burning yourself out. 53:30 to 1:00:52: Not only is it critical that you properly review everything you study (as described in the last section), but there are also a handful of recent, real LSATs that you should be extremely familiar with before test day. This portion of the chat will tell you both how, and what, to review. 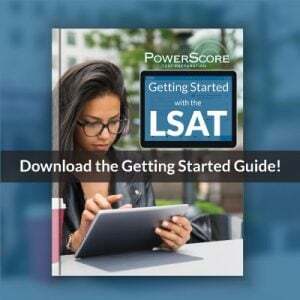 1:00:53 to 1:26:40: To demonstrate the review process in action, a sample LSAT question is presented and then thoroughly deconstructed (June 2007 LR1, #14). Do your best to mirror these techniques in your own question analysis! 1:26:41 to 1:31:04: Finally, some last-minute encouragement and words of reassurance concerning your late-stage life/work balance: how and when to take some personal time, diet and nutrition (and recreation) suggestions, and a general reminder that if you’ve prepared properly everything will work out just fine. 1:31:05 to 1:32:35: Outro. Thanks as always for tuning in! Be sure to subscribe, leave us a rating, and send us any questions or topics you’d like us to cover: lsatpodcast@powerscore.com. I notice you guys mentioned “leaving things on a high” I took a practice test on Tuesday March 19th and scored a 167, which is within reach of my “scoreband” of 165-167. However, I am second guessing taking another one after listening to your podcast, and now think it may not be such a good idea. I took the November 2018 test, so March will be a retake for me. I noticed the emphasis placed on sept/nov 2018 and understanding those tests, so I planned to use the September one as my last practice test this Sunday. Essentially, I’m looking to hear your opinions on if I should take another test, or leave it as is and just continue to practice? Thanks for the question! This is a tough one, because you are right on the edge of both the scoreline and timeframe where you could go either way with this. I guess the best questions are: what’s your preference here, and what do you expect to get from another full test? Is it just the experience of taking the exam and looking to build stamina, or are you actively looking to exceed the 165-167 range? And, depending on the answers you give, could you achieve the same effect by doing this test in sections vs doing the whole thing as a timed exercise? Thank you for replying! I’m not actually looking to build stamina, or even exceed my range; I guess I just want to “be sure” that I can do it again. The first time I took it it was under normal test conditions, so no reason to believe my score was a “fluke.” I’m still nervous because I’ve only scored that high that one time, and I feel as though I need to do it again. I just want to make sure I’m not making the wrong decision by taking one more for that reason alone. If the reason is to be sure that you can do it again, I’d recommend not taking another full test. Two reasons: you just proved you can do it. Full stop right there–you’ve achieved that score, so it can be done again 🙂 Second, you are now at risk where even a small drop would likely unsettle you, and that’s the exact scenario we are trying to avoid at this point in time! I have multiple questions, but will ask more of them closer to my test dates (June & July 2019). I am curious though, what is the best way to review logic game and reading comp sections from practice tests? I have read Dave’s article on blind review, delayed blind review, etc. and that really helps for logical reasoning, but not really when it comes to LG and RC, at least for me. I find myself just going back and redoing the games and passages untimed and going back through the questions, but I doubt this is the best way to do it. Any advice really would help. I am a huge fan of the podcast and always look forward to listening and taking notes on it each week. Really appreciate you guys taking the time to go through topics and give tips and advice! Hi Guest221 – thanks for posting, and super happy to hear you’re enjoying the episodes so far! First though, you raise an interesting point, as I agree with you that reviewing LR is typically more straightforward, or at least more easily-repeated, than reviewing the other sections, since in LR it’s very much a moment-to-moment (individual instance) review process, whereas in RC and LG each passage and game set can require different types of analyses or focal points to maximize the value of review. That is, the problem with one game set might be a weird scenario and tough rules, leading to a challenging setup and inferences, while the next game set might give you trouble because the questions were really tough (or maybe there were just a lot of them). Or in RC you might struggle with the first passage but find its questions simple enough…then passage 2 is easy but followed by confusing questions. And so on. The answer then is to try to better determine what specifically caused the problems in each case (big picture like setup, and smaller like question 9, or whatever) and then identify the underlying concept/logic that would have allowed you to tackle it more effectively. Specifically I’m referring to the discussion he provides under point 4 in that article, where you can see section-by-section how he not only encourages you to review, but also how he provides handy tools to identify and eliminate your unique weaknesses!